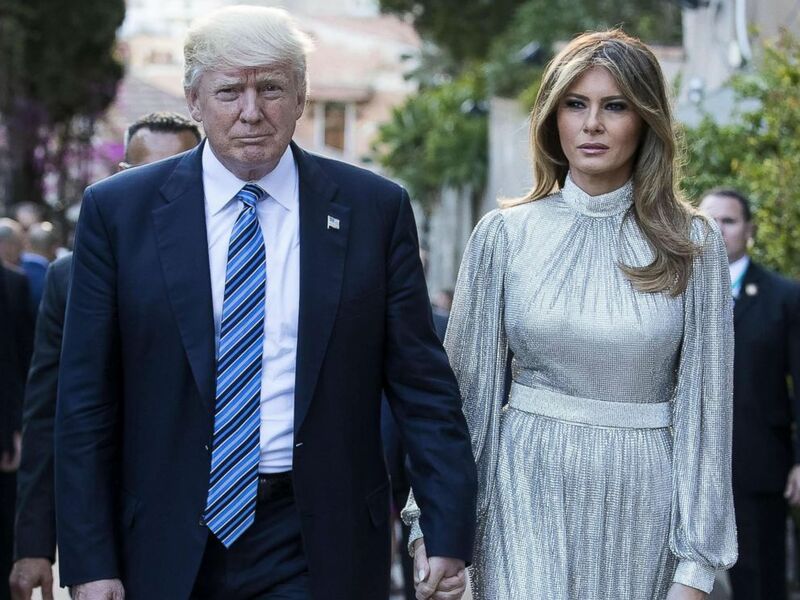 Melania Trump’s absence — particularly at recent White House events where the first lady traditionally participates, like the Medal of Honor ceremony or the Memorial Day wreath laying at Arlington National Cemetery — has not gone unnoticed by the public and has sparked wild conspiracy theories about her whereabouts. Last week, as questions swirled about the state of her health and the hashtag #whereisMelania trended online, she tweeted that she was “feeling great” and “working hard on behalf of children and the American people. “She’s been involved in several internal meetings with staff all last week, and that continues this week. We’ve been going over initiatives and other long-term planning for events such as the congressional picnic and Fourth of July,” Grisham said. 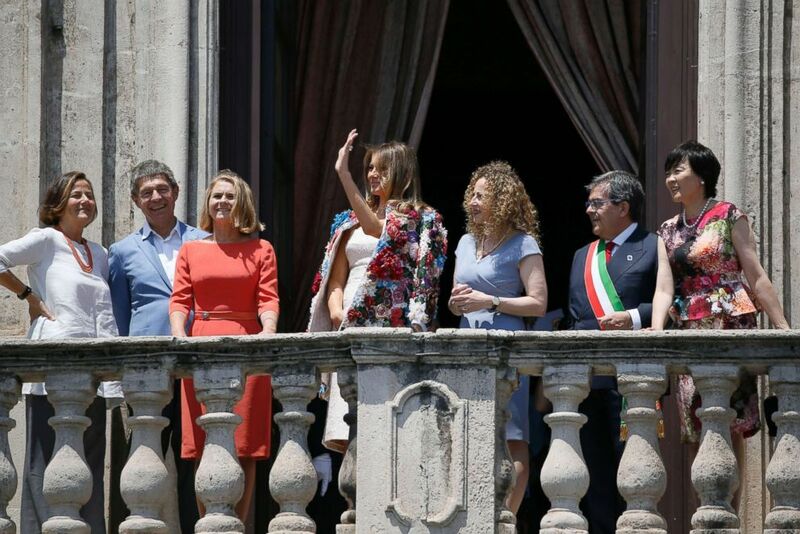 First lady Melania Trump, center, waves on the balcony of Chierici Palace, part of a visit of the G7 first ladies in Catania, Italy, May 26, 2017. Before her hospitalization, the first lady unveiled “Be Best,” her official platform aimed at teaching children the importance of healthy living and responsible social media use, in a Rose Garden ceremony. “I feel strongly that as adults, we can and should be best at educating our children about the importance of a healthy and balanced life,” the first lady said. 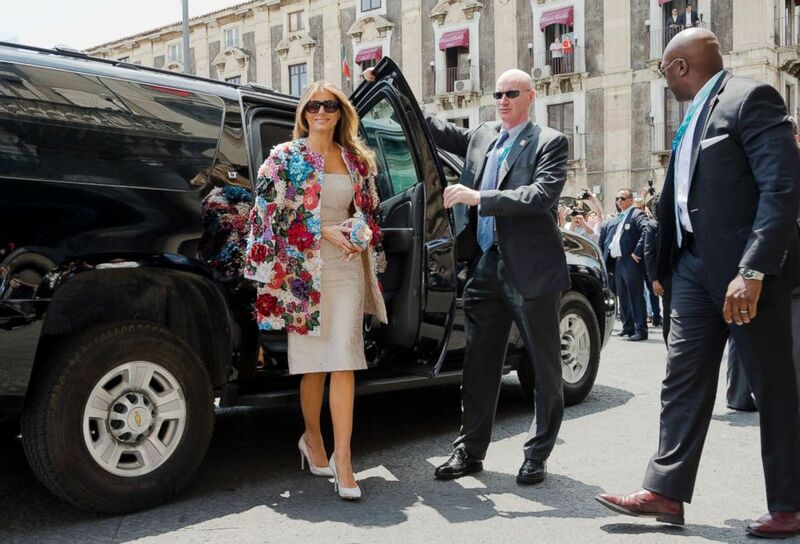 First lady Melania Trump arrives at the City Hall, Palazzo degli Elefanti, in the Sicilian town of Catania, Italy, May 26, 2017.